It is hard to believe that mid-April is already upon us. I hope you had a great weekend. Hopefully, your family is continuing to enjoy “The Mouse and the Motorcycle.” It’s been so exciting to see our school community unite around this initiative and to hear our kids engaging in conversation about the latest chapters and making predictions about what will happen next in the story. We are hoping to display photos of families in action reading our One School One Book. Therefore, please snap a picture of your family reading “The Mouse and the Motorcycle” and email it to me: godfreyc@district90.org. We will display all the photos throughout the school. Feel free to be as creative or non-creative as you wish with the photo submissions! We look forward to seeing your family in reading action! And, save the date for the first ever: Lincoln School Fine Arts Festival on Thursday, May 2 from 6:30-8:00. Mrs. Kozbur has been busy transforming our school into the Lincoln Art Institute, displaying the creations of every Lincoln student from the year. Mrs. Halter is also working with students who will presenting and demonstrating some of the music skills they’ve learned this year. It will be a wonderful night to stroll through Lincoln and view the incredible creations of our kids! This week, our 3rd and 4th grade students will complete their IAR assessments. Below is the schedule we will follow. Finally, don’t forget any optional feedback you wish to provide for the 19-20 class placement process should be submitted no later than Friday, May 3. Here is a copy of the letter I sent to all families on April 1. Lincoln Yearbooks now on sale – best price through Monday, 4/15! Yearbooks are now available to order on the PTO Web Store. The hardcover books are available at a pre-order price of $25/book now through April 15. Pre-ordered books will be distributed at the Ice Cream Social on 5/31 along with a souvenir pen. Save your confirmation email from the PTO Web Store so you can quickly confirm your order when the “end of the school year” madness sets in! Any books that remain after the initial online orders are taken will be available for purchase on a first come first serve basis at the Ice Cream Social for $30/book. Keep in mind that the yearbooks are quite popular, so we highly recommend ordering in advance! Testing Extra Recess HELP NEEDED! Connect 4 Kids is hosting a bonus recess for the third and fourth graders during Illinois Assessment of Readiness (IAR) testing this week. We are reaching out in the hopes of filling the volunteer time slots, supporting play, and providing fresh air for students during testing. You do not need to have a child in third or fourth grade to volunteer. Please come rain or shine. Arrive a few minutes early to sign in at the office and meet on the block top on the Franklin side. If it is raining, the school secretary will share the alternate plan. Sign up here to volunteer. Casey, the teachers, and the PTO want to thank you in advance of supporting this initiative! 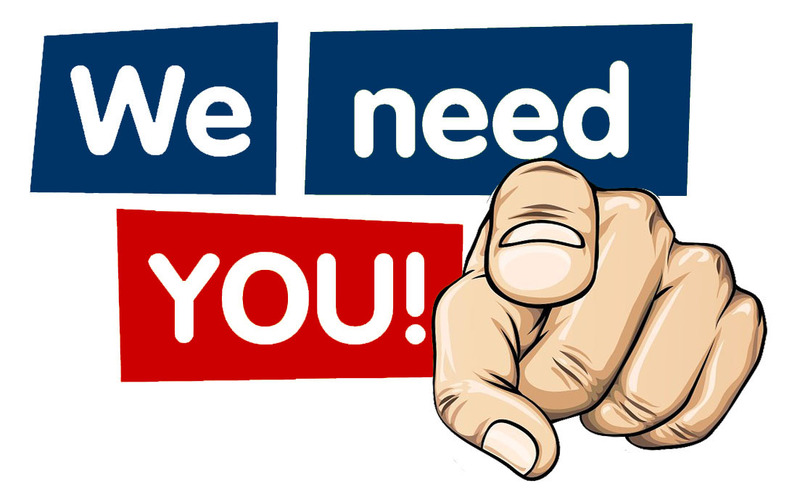 Join the 2019-2020 PTO Team – committees need you! We still need volunteers for the 2019/2020 PTO …please consider signing up! The mission of the PTO is to support and enhance the education of the children at Lincoln School…But without input, ideas and support from the families at Lincoln, fulfilling this mission is not possible. There is a lot YOU can do for the PTO and for Lincoln School whether you are a working parent or a stay at home parent. Here are some areas we are still looking for committee members. Please reach out to Amy Prestes (amy.prestes@gmail.com) or Ginger Timchak (gingertimchak@gmail.com) if you are interested in helping. Thanks!!! Library Lowdown – Poem in Your Pocket Day (4/18), and more! On Thursday, April 18th, Lincoln will be celebrating Poem in Your Pocket Day. Everyone is invited to carry a poem in their pocket and share it with others throughout the day. Poems can be originals, found on the internet, or copied from a book. We recommend a shorter poem so it’s easier to read when asked about their poem. An index card is a good option, small enough to fit in your pocket, sturdy enough when pulled in and out of pockets. As always, thank you for supporting your children in fun, literary endeavors. Please contact Mrs. Brauweiler with any questions. I hope you’re enjoying the escapades of Ralph the Mouse. Two more weeks of reading and trivia. Don’t forget to turn in your bookmark (checking off each chapter) at the end of the three weeks for a chance to win a prize. Students have an opportunity this week to draw a picture of Ralph having fun and having it displayed in the library. Next week, they will have an opportunity to write a letter to Beverly Cleary which will be mailed to her. Scholastic “Summer Reading” book fair is coming the week of May 6th. This book fair is a part of Mr. Schu’s visit with the second and third graders earlier this year. It will be a smaller book fair that focuses on paperback books for summer reading. More details to follow on the book fair. Parents of Fourth Graders – drumming and maypole registration is now open! Please click here to pay your $25 4th Grade Activity Fee. This money goes toward the t-shirt that your 4th grader will wear during Field Day and the cost of the 4th grade breakfast celebration on the last day of school. If you are unsure if you have already paid, please click here and log in to review your order history on the PTO webstore. Any questions? Contact Amy Prestes (amy.prestes@gmail.com) or Ginger Timchak (gingertimchak@gmail.com). Would your son or daughter like to participate in one of Lincoln School’s Field Day traditions? Our kids have excitedly been watching the “big kids” (aka – 4th graders) over the years entertain and kick off Field Day with Drumming and the Maypole Dance. Now it’s their turn to participate! 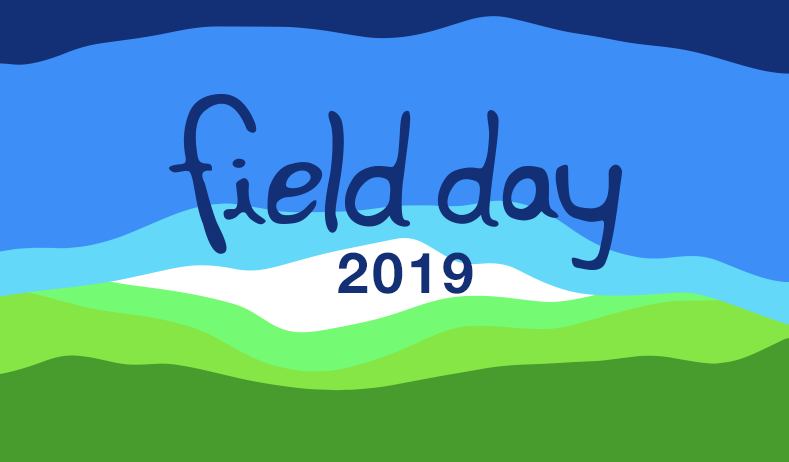 Field Day is currently scheduled for the last day of school, June 12th. Your 4th grader can choose to participate in the Maypole Dance and/or Drumming. Register NOW on the PTO Webstore! Drumming practice is Tuesdays/Thursdays at 7:30am in the gym. Maypole practice is Wednesdays/Fridays at 7:30am in the gym. A video will be shown at the 4th grade breakfast on the morning of the last day of school, June 12th. The video will contain pictures of the 4th graders through their years at Lincoln School. So grab a box of tissues and scroll through your old photos. Please begin to gather a variety of photos of your child commemorating all of their years at Lincoln, grades K through 4. We suggest photos from school events, school concerts, class parties, field trips, PTO events, back to school pictures, Cub Scouts, Girl Scouts, other clubs, youth sports teams, pictures with good Lincoln buddies, etc. Photos can be submitted to a google drive via https://drive.google.com/drive/folders/1Br8wAPodrOwDK0IUThraRsnGsFNttUMu?usp=sharing or emailed to Lincoln4thgradeclass@gmail.com. We want to ensure that everyone is included so in the body of the email please include child’s name, grade / teacher at the time pic was taken. We cannot use pictures from non-school events, no matter how cute. New families to fourth grade – there’s still time to take pics! Example: Zoo field trip, 1st grade. Feel free to contact Debby Bade and Krista Lambe at Lincoln4thgradeclass@gmail.com with any questions. Fine Arts Festival – Thursday, May 2 from 6:30-8pm! Come by Lincoln to view the incredible art work of ALL of our kids as well as various musical performances throughout the evening. More details are forthcoming. SchoolKidz supply kits are now available to order for the 2019-2020 School Year! The Lincoln PTO sponsors a School Supply Kit process to simplify your life! You can order a school supply kit online and the kit will be delivered to your child’s classroom in August before school starts. Orders are online only and they are accepted only until May 17. The PTO does not buy extra kits, so if you miss the deadline, you will be unable to order the prepackaged kit. The supplier cannot accept late orders. Please remember to buy a kit for NEXT YEAR’s Grade Level. Order your kits at www.shopttkits.com, Lincoln Account Number: 20838 The DEADLINE for ordering kits is May 17. Don’t Delay! 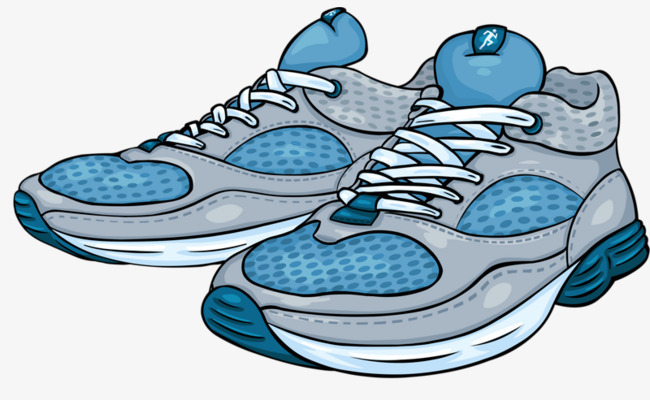 During PE it is mandatory for students to wear proper athletic shoes. This means no showing of the toes, only closed toe athletic shoes. During the winter and spring months students wear boots or sandals to school, often times forgetting their athletic shoes for PE and unable to participate. I want PE to be fun and engaging for everyone, even those who happen to forget their athletic shoes. Green4Good Club – EARTH WEEK (April 22-26) call for volunteers! Earth Week coming up April 22-26! Watch next week’s newsletter for details about the Walking School Bus Stop closest to you. 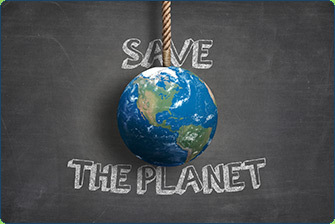 Also, plan ahead for the Earth Week Waste Free Lunch Challenge: 1st and 2nd Graders VS 3rd and 4th Graders. Who will pack the most Waste Free Lunches Monday thru Wednesday? The 1st and 2nd Graders have been victorious the past 2 years…will they dominate again in 2019?! If you would like to volunteer to help out Lincoln’s Green4Good Team, there are still a few opportunities available, click here for the signup genius! It’s time to think about summer school! 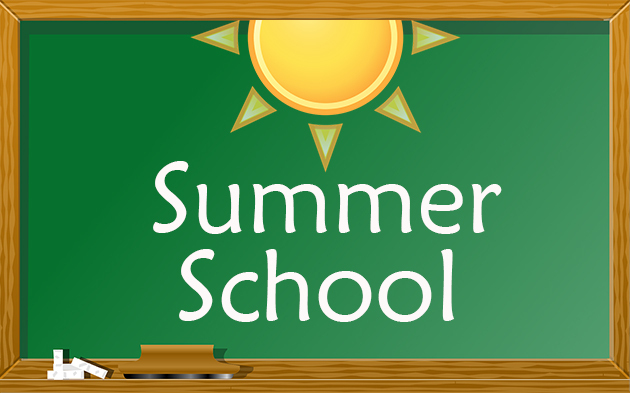 District 90’s Summer School program will be in session from Monday, June 17th through Friday, July 12th, with no classes on July 4th.Students entering Kindergarten-4th grade will be at Willard Elementary and students entering 5th-8th grade will be at Roosevelt Middle School. Registration IS NOW OPEN and closes on April 18th. Click on the link for the brochure and to register— https://www.district90.org/about/summer-school. Effective April 1, The Village of River Forest will began enforcing NO PARKING Zones in the following areas on school attendance days. -On the West Side Park Ave. from Lake St. to the North side of the Park Ave playground. This is a result of the Safe Routes to School surveys/evaluations and is a decision that was made my the Village Administration. The Village will begin monitoring and ticketing this area effective April 1. 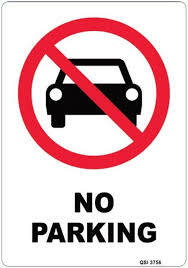 Signage will also be posted in these areas outlining the above parking restrictions. Additionally, please note the new “NO LEFT TURN,” at the intersection of Franklin and Lake. One Earth Young Filmmakers Showing – Saturday, 4/27 at 2pm! You are invited to a special screening of 10 short, honorable mention films from the One Earth Young Filmmakers Contest at 2 p.m. Saturday, April 27, at the River Forest Library, 735 Lathrop. “What a Waste” (8 min.) by Lincoln School 3rd grader Lily Kleps will be one of the featured films. We had a total of 19 winning films for the Young Filmmakers Contest and so were not able to screen all of them at the Gene Siskel Center on March 2. This follow up event will showcase many local winners and there will be “action partners” available to help viewers consider how to follow up afterwards. Check out the flyer and press release! CUB SCOUT CAKE CONTEST/AUCTION – Monday, 4/15 at 7pm! Come one come all to the annual Pack 67 Cake Contest/Auction, Monday night April 15th from 7-8pm at Lincoln. Bid and win or just enjoy the colorful creations…and watch as Principal Godfrey gets a pie in the face! Contact Andrew Lennie at a_lennie@yahoo.com with questions. Click here for the flyer!